City Buildings Pack low-poly 3d model ready for Virtual Reality (VR), Augmented Reality (AR), games and other real-time apps. 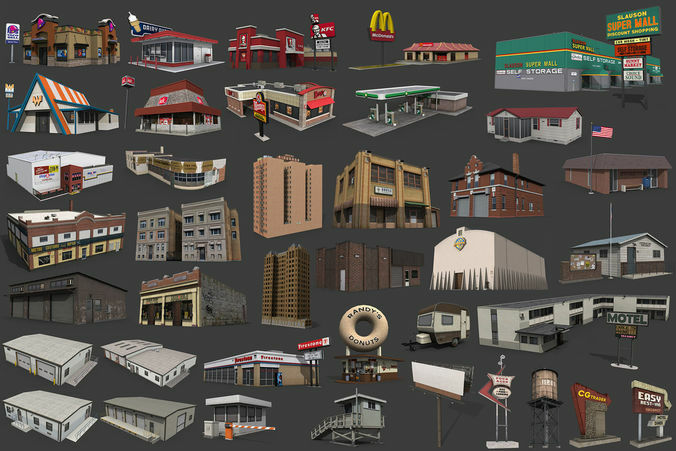 This pack contains 39 lowpoly industrial building models. A very nice package, very well modeled, but the texture is bad quality, do an update to 4k.